The Malaga Airport Car Hire Desks are now by carousels (28-31) where you collect your baggage. There are over 20 car hire companies at Malaga, but only 8 of them are located inside the airport. 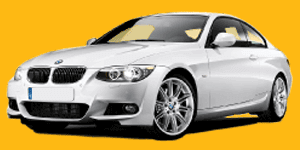 Avis & Budget, Six, Europcar, Record & Go, Goldcar, Hertz & Firefly. 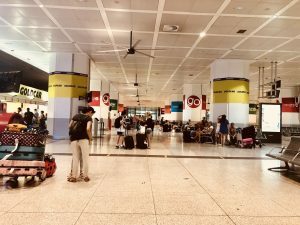 In an article by The Guardian, Sixt, Avis, Hertz and Europcar came in the top 10, all of which can be found inside the Malaga Airport Terminal, so when booking via the Car Hire form above, look out for these firms. 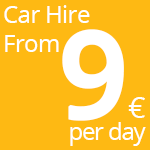 You can often hire a car for a week for the same price as a one way taxi journey from Malaga Airport to Marbella. We always suggest to friends and family to hire a car at Malaga, especially in the cooler months when driving around and exploring is so much fun. There are so many beautiful white villages to see and also some amazing Cities all within a couple of hours drive, Jerez, Cordoba, Granada, Malaga and Seville. The public transport here is great, but only up to Fuengirola. Thereafter, there are no trains, only buses. Saying all this, we totally understand that there are many people who don´t want the hassle of hiring and driving a car. We do have some driving tips here if you change your mind and you can always come and chat with us and others on The Costa Del Sol Travel Forum. Book flights before car hire & book asap for the best price. Pick-up time & drop off. You´ll want to be at the airport 2 hours before, plus time to drive and drop off An hour here or there can make a difference to price. Add your flight number to the car booking so they know when to expect you. Air-conditioning is a MUST especially June to September. Book any extras like child seats or restraints which are a legal requirement in Spain especially during the summer months when supplies can run out. (This may be a separate payment with the company direct). Don´t book the smallest, you do not want your suitcases on show. Remember everyones driving license who wishes to be a name driver. Name drivers are an extra cost, so be sure it´s worth adding them. Think about taking the zero liability insurance. Read the small print on the voucher. Avoid the queues at the desks (especially during the summer months). Leave the non-driver to collect the cases and meet you at the Car Hire Desk. If you are pushed for upgrades, think do you really need it? It´s all extra cost. Take your time to check the car for any scratches or damage. Before setting off, become familiar with the car and if driving at night, make sure your lights are on. Take care when collecting your car, don’t get distracted by people or leave your bags anywhere. When dropping car off, make sure you leave it in the correct space or you could be fined. There´s so much to see when staying on the Costa Del Sol, we highly recommend hiring a car to explore Andalucia, especially in the cooler months. We love talking travel, so join us in The Costa Del Sol Travel Forum on Facebook. Should you be using one of the companies that are located within the airport, they are no longer located down the ramp. They have now been moved to where you collect your baggage at carousel 31. Once you have found your car hire company, be sure you have all the necessary documents, including your driving license. If you have hired a car from one of these off site companies they will provide you with a shuttle bus to take you to their offices. Check arrangements at time of booking. The majority of the offsite companies are located in Avenida Garcia Morato which is the main connecting road leading up to and exiting the airport. Agents with offices located on Avenida Garcia Morato are Auriga Crown, Autolink, Cargest, Centauro, First, Global Car Hire, Marbesol, Malagacar Hire, Nixa, Pepecar, and Top rent-a-car. Centauro and Global Car Hire are slightly further away in the Villa Rosa Industrial Estate which is situated just the other side of the N-340 national road. Another four offsite offices are located just over the roundabout after the BP garage on the right hand side in Edificio Checkpoint which is right next to the train station for Malaga Airport. These are Autolink, Marbesol, Tony’s rent-Top Rent a Car and Yellow Car. Avenida García Morato, 32 29004 Malaga Telephone: +34 952 173 520/Fax: +34 952 177 044 Website: www.cargest.es. As you approach Malaga Airport, drive a little slower to avoid any mistakes. The lanes to the right will take you up to the departures area. You want to take the lanes to the left and follow the signs for Car Hire. There are corresponding desks for each car hire company in the car park where you can drop off the keys so you do not have to return the keys to the original office in the terminal. The car parks are on floors 0 and -1 of the P2 car park (for picking up vehicles) and on floors -1 and -2 of P1 car park (for their return). If you have any questions you can come a join our Facebook Page Malaga Airport EU and also be part of The Costa Del Sol Travel Forum where you can chat with others about travel, living, holidaying on the Costa Del Sol.